Organic Trade Association’s Board has approved the establishment of a Fiber Council based on Sector Council Operating Guidelines. The application for the new sector council was first reviewed by the Organic Trade Association Board Community Relations Committee, which gave its support. Marci Zaroff, Founder/CEO of MetaWear and Founder of Under the Canopy, submitted the request along with seven other member companies that have expressed interest in participating. The aim is to create a cohesive voice across fiber categories within the association, and to grow the organic fiber sector overall. If you are interested in joining Organic Trade Association's Fiber Council, please contact Gwendolyn Wyard. Organic Trade Association’s Fiber Council working to grow market and problem-solve. Read the press release. The Organic Trade Association's Fiber Council met in South Carolina, in February 2018 for its annual in-person meeting to discuss the Council work plan and elect new officers. This meeting took place in conjunction with several exciting Global Organic Textile Standard (GOTS) events. A GOTS regional business meeting drew 46 participants for an overview for textile professionals and brands on how world-renowned GOTS certification can deliver trust and transparency to consumers. Speakers from the Organic Trade Association included Vice President of Regulatory and Technical Affairs Gwendolyn Wyard, Director of International Trade Monique Marez, and OTA Board Member and Marci Zaroff, CEO of MetaWear and Under the Canopy. There was also a GOTS Training for Textile Industry Professionals on developing an organic handling plan and preparing facilities for a GOTS inspection held by the International Organic Inspectors Association (IOIA). The Organic Trade Association, which is one of the owners of GOTS, is represented on the advisory and standards committees. This was the first time that all of these meetings were held in the United States. 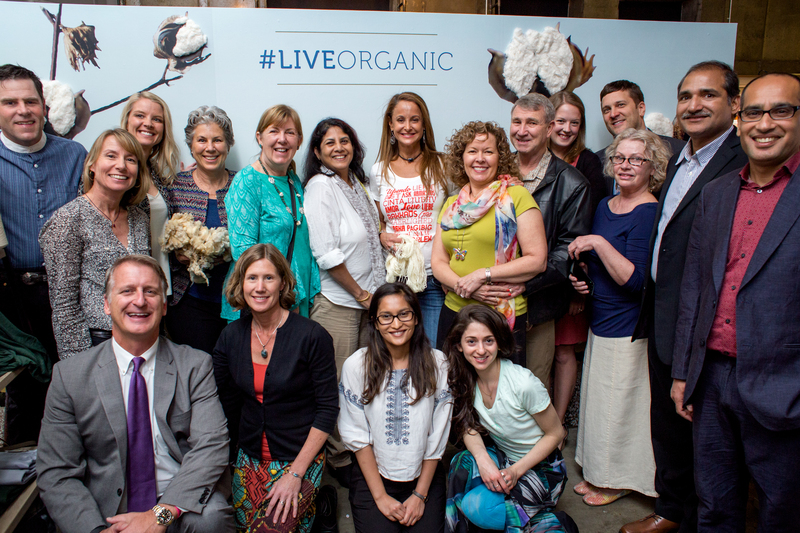 Organic Trade Association's Fiber Council hosted a first of its kind event in New York City, the #LiveOrganic from Farm to Home Pop-Up Shop. Read the press release.